Simon has been using this Italian rub on chicken for years. But don&apos;t save it just for chicken. It&apos;s great in burgers or meatballs, over grilled tomatoes and if you&apos;re throwing a prawn (or pretty much anything for that matter) on the BBQ or in the frypan, a good sprinkle of this will make your food sing. 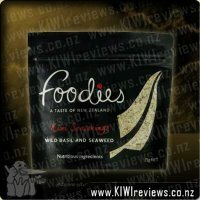 Please note: The Italian and Kiwi seasonings are Gluten free but all are packed on a line with products that may contain gluten. I&apos;ve finally had a chance to try Simon Gault&apos;s Italian Seasoning and I love it! Like the Indian Seasoning which was the first one I&apos;d tried, it&apos;s a blend of spices and seasoning that takes the guesswork out of making food taste great! I first used the Italian seasoning to jazz up an omelet one Sunday morning. Even in my bleary-eyed state, I managed to get it tasting great! This morning I just sprinkled it on my fried egg while cooking (instead of salt) and it&apos;s given it a burst of something new. I got rave reviews the first time I sprinkled it all over a homemade pizza - it gave it awesome flavour, jazzing up a pasta sauce base and the leftovers which made up the rest of the pizza (cooked sausages etc). 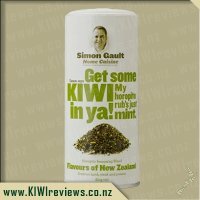 There are also heaps of recipe ideas on Simon Gault&apos;s website - I look forward to trying this seasoning as a rub on meat prior to bbqing. The biggest thing when buying new seasoning like this, is knowing how to use it, so hence filling up the bulk of my review with a few ideas... but if you have great imagination, there are heaps of other ways to use it. The only negative is the shape of the container... well more the pouring/sprinkling mechanism. The seasoning is too small to fit through the small sprinkling holes. The pouring hole is better, but I prefer to just be able to lift the whole lid off and put the teaspoon in. Luckily the lid is fairly easily removed (if you have good fingernails or a knife) ... but I did notice that the container is barely filled more than halfway up! The spices have no doubt settled down a bit after packaging, but I can see myself going through these spices fairly fast and they are not cheap. However they are well worth the money, and I&apos;ll certainly keep buying them. 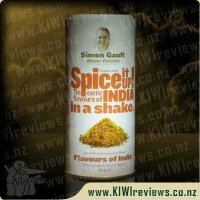 This is the second spice mix I have managed to get my taste buds on from Simon Gault and it is a good idea getting all the herbs and spices together in one container. The flavours of Italy Italian seasoning blend is great for any meat dish and of course any Italian recipe you might be preparing. On chicken this works as a great meat rub and I&apos;ve been using as I grill chicken to give it more flavour before having it with a salad, it has all the right tastes with no one thing overpowering you and they all seem to work together, the benefits of having a chef making it. I also used it for when making meatballs with my daughter, she can sometimes not like different sauces and flavours with the complaint of them being too "hot" for her, this complaint didn&apos;t come up with this Italian spice and she then proclaimed the meatballs were yum and devoured the lot. I&apos;ve also added it into thing like meatloaf where it was a subtle taste and working well with whatever else I threw in the pot. The only problem I have had is that this mix decided to clump up in the container and I had to break it up with a knife before being able to sprinkle it. This probably means two things, one we have way too much moisture in the air here and two, there is no anti caking agent in the product which is probably a good thing, not a biggie just something to be aware of. 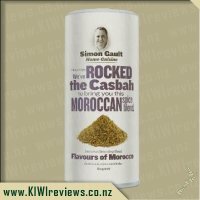 Out of the two Simon Gault seasoning blends I will have to say that I prefer this Italian one over the Indian one and that is purely personal preference as they are both really good, the Italian one for me is more versatile in the food that I cook. Check them out and give them a go I think you will be happy with the results. Italian food has been one of my passions since I was a child and my parents first took me to Tony&apos;s on Wellesley Street in Auckland, presenting me with my first ever bowl of Spaghetti Bolognese. For a child, it was a daunting meal to face, but with a little help I managed not to coat EVERYONE around me with sauce. Still, the flavours, the aromas, the sheer brilliance of the meal... it has stuck with me my entire life, and it is one of the very first dishes I taught myself to cook when I found myself leaving home. So, to find a brilliant Italian-style herb and spice mix, in an easy-grab container... a little like discovering Cibola or El D&apos;orado. I have used this to spice up mashed potato, to flavour savoury mince, nachos and yes, even a Spag-Bol. I have used this with chicken, beef, lamb and even in a vegetarian meal... as well as a batch of Savoury Scones... and so far I have yet to find a fault with the actual mix. My only issue is with the packaging choice. But, since I have covered that in my review of the Indian Spice mix I won&apos;t rant on about it again here. With my original plans of using this as a rub on some BBQ meats being foiled by foul weather rolling in this last few days, I&apos;m going to have to save some to trial that way too... hopefully in the not-too-distant future. But what I can say is that as far as I can tell, this is one of my new &apos;Must Have&apos; herb/spice mixes. 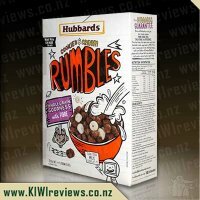 I plan to find this in the shops and keep at least 1 open and one backup container on the shelf at all times. I don&apos;t fear it going stale, because frankly I don&apos;t think it will ever reach that point. 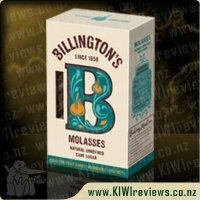 Overall, if you love to cook, and you want something with some real flavour but without the fuss, then you need to check this range. Sure, it looks a little expensive, but for what you get you are paying about the same as you would pay for any one or two herb or spice packets, and then you have to get the rest and mix them yourself... why bother? This is spot-on and ready to use! I&apos;m so pleased I was given a chance to try the Simon Gault Italian spice rub as I now have a new must have pantry staple! The spice mix has so many different uses and I have been enjoying experimenting using it in lots of different dishes. 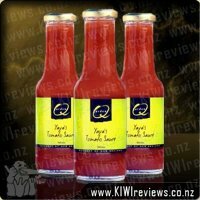 The mix of ingredients is just right to add the perfect flavour to anything you use it in. The first time I tried it was in meatballs, I always make my own meatballs and usually just throw in mixed herbs. I replaced the herbs with a good shake of the Italian spice mix and from now on I can&apos;t imagine using anything else in them. After seeing someone else using it in Mac n cheese I decided to give it a go myself, it gave an extra special something to a yummy comfort meal. The uses are limitless the mix can even be used just rubbed on your roast chicken or thrown in a stew. It is a little bit of trail and error to work out how much to add as their is no guidelines on the container. 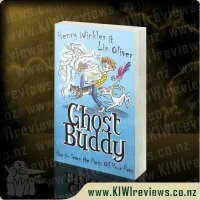 I will be buying it again for sure and it&apos;s good value for money as a little goes a long way. I have used it in several dishes and still have over half a container left. This spice is great, it made my food taste wonderful. Tried it on a lot of various foods and my kids kept asking for more as it is not too spicy and has a great taste. I did a potato bake which is normally rather bland but cheesy, it tasted wonderful. Don&apos;t think I could have too much of this spice. Only thing that I didn&apos;t like and almost put me off buying some more was that if you don&apos;t use the big hole then you can&apos;t get any of the spice out, thought it would be almost finished due to having to use the big hole but there is still over half of the tin in there. I&apos;m really glad I have tried this and will be looking out for them in the shops, been told there are a few other flavours (mint was mentioned) so I&apos;m going to have fun experimenting with them. 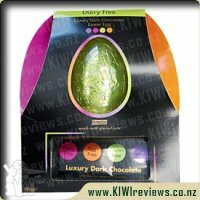 Will be buying this one for sure, fantastic taste and the whole family loves it. We have used the Rub&apos;em up Italian Blend in practically everything for over a week now. 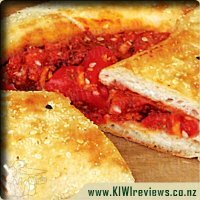 It is so versatile and has a fantastic taste and smells like a yummy pizza. 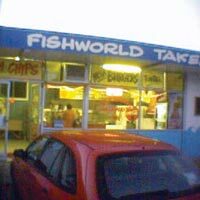 Steak, Vegetables, Mince, Chips you name it we have tried it. My husband was a little concerned when I served him Steak and explained he had two halves because one was covered in an Italian Blend and the other was covered in the exotic flavours of India. But it turned out to taste fantastic and I needed have worried. The kids are enjoying it as it gives a nice pizza flavour especially on chips. So simple to use. 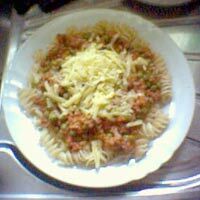 However, its a lot of trial and error at the moment as to how much to put on your meal. I have over done it once or twice and would be nice if there was some sort of indication on the container is to how much they recommend. Like for the steak would be nice if it says something like &apos;recommend to use two teaspoons of spice for every 500gm of meat&apos; or something like that. Also, with the actual container you have three choices: a sprinkle, a small pour or a large pour but have found that the spice is to course to use and basically can only use the large pour as it gets clogged up using the other two choices. Besides that I found that this product is so fantastic and will definitely be a must have item for our spice rack from now on. I like a good herb mix but have always had trouble finding one that had a good ratio of everything and went well with almost anything that I cooked. Well, I think I may have found what I&apos;ve been looking for. My first thought on this was that it&apos;s a nice and simple design. My husband feels that if you don&apos;t know who Simon Gault is then it wouldn&apos;t catch his eye, but as I know who Gault is, it does carry some weight to it. I personally quite like the design and like the colouring and lay out of everything on the packet. 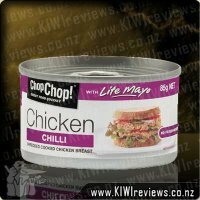 When I opened it up I didn&apos;t get a huge whiff of anything, but keen to give it a go I added it to my dinner. Making a potato bake, I mixed some of this through my tomato/vegetarian protein mix, and sprinkled some on top. It added a lovely taste and I couldn&apos;t wait to try it again. I have since used this on top of a cheesy sauce pasta dish (gave it a lovely pizza taste to the dish), on popcorn, mixed with sour cream (to put in tacos, and I could seriously have eaten the sour cream on it&apos;s own with just this seasoning in it). Using it for a whole week, once per night and I still have at least half the container still full (though it&apos;s a little hard to tell other than by weight). 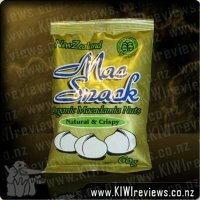 I really like the flavour and it complements the dishes well. The only thing I don&apos;t like about it is the bits of chives as they don&apos;t really melt into the dish, so I know they&apos;re there. All in all I really liked this and I would buy it again. Product reviews for listing 3066: Chop Chop! Chicken - Shredded with Chilli - Brand: Chop Chop! Premium chicken breast, shredded and mixed with a delightful light mayonnaise and chilli sauce. "Does pushing the elevator button more than once make it arrive faster?"